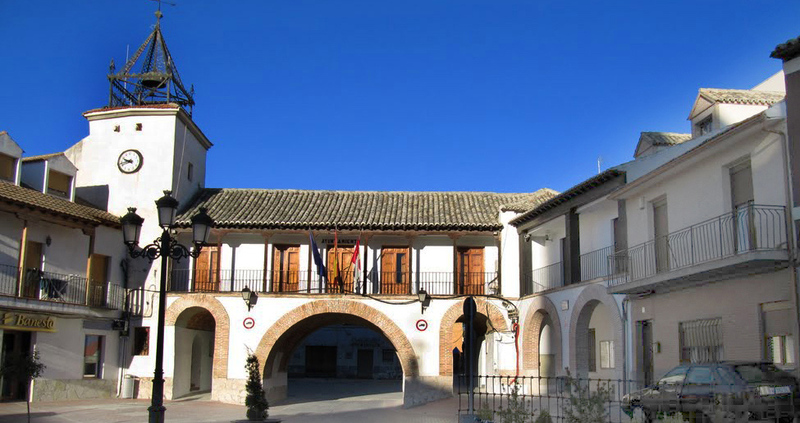 We find the town in the middle of the region of la Sagra, 47 km from Toledo and very close to Madrid. With Arab origins, Borox has served as the stage for a multitude of movies, not surprisingly since its plaza is considered an Asset of Cultural Interest. In its urban center we find a regular layout of houses with a historicist style and various plazas like those of Descansadero (the rester), where we find the bust of the bull fighter Domingo Ortega, a native of this town, Filipinas (Philippines), and the Plaza de la Constitución, where we can see the building that houses its town council. This government building is one of the most unique buildings in the town for its lightness of forms and it has two levels. We enter the plaza via beautiful arches, through which we can take lovely photos of the church. The hermitage of Nuestra Señora de la Salud, Baroque style and categorized as an Asset of Cultural Interest is another must-see.